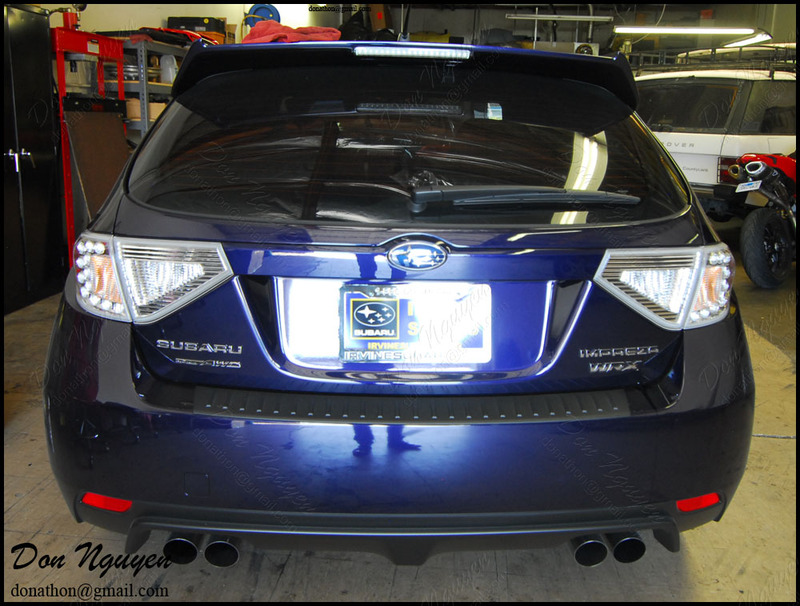 The owner of this dark blue Subaru WRX had me my clear/transparent red vinyl film on his tail lights. I know most people are used to seeing me use my smoke/tint shade on tail lights, but I also have other colors such as red and yellow for tail lights, fog lights, etc. I took some pictures of the progress, for those who want to see how it is done. 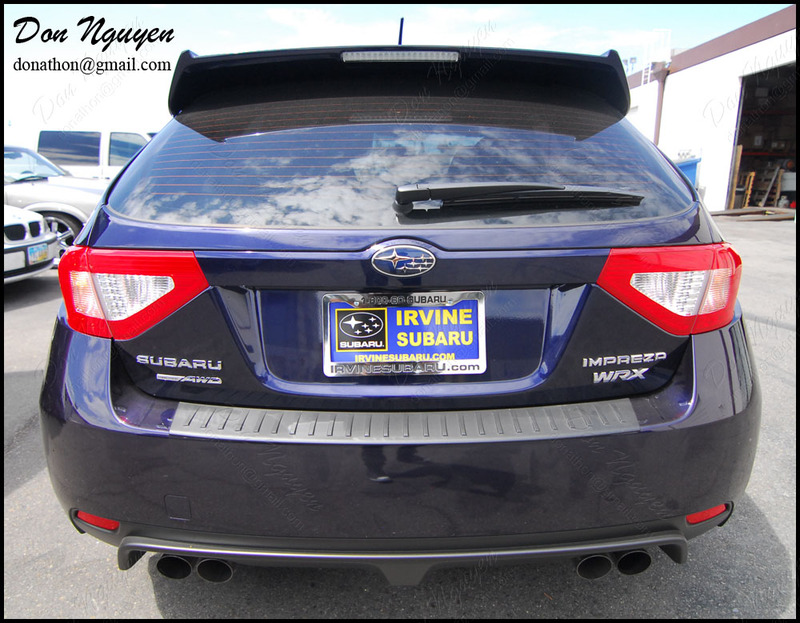 Also, some people also prefer the look of the whole tail lights completely red versus having the center portions cut out to be clear. 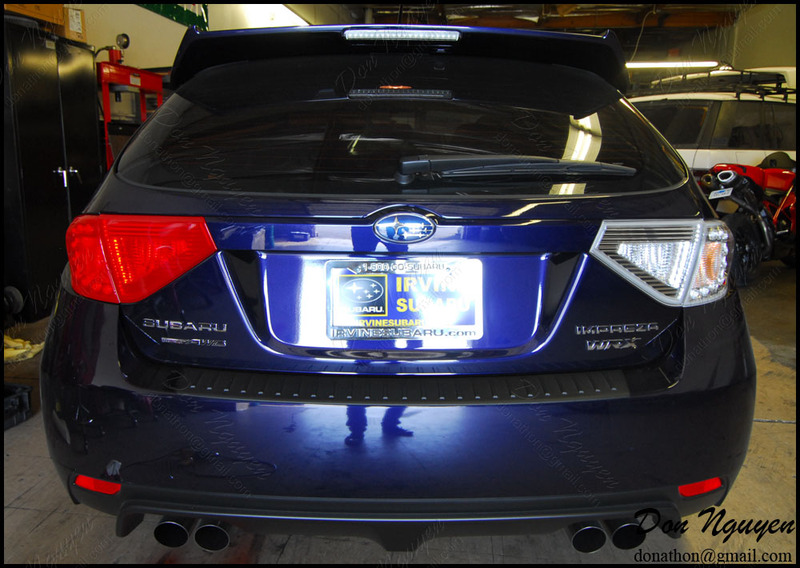 The owner of this car drove from Tustin to me in Anaheim Hills/Orange County to have me vinyl his tail lights.